St Luke’s Church, Battersea, SW12 8RQ. 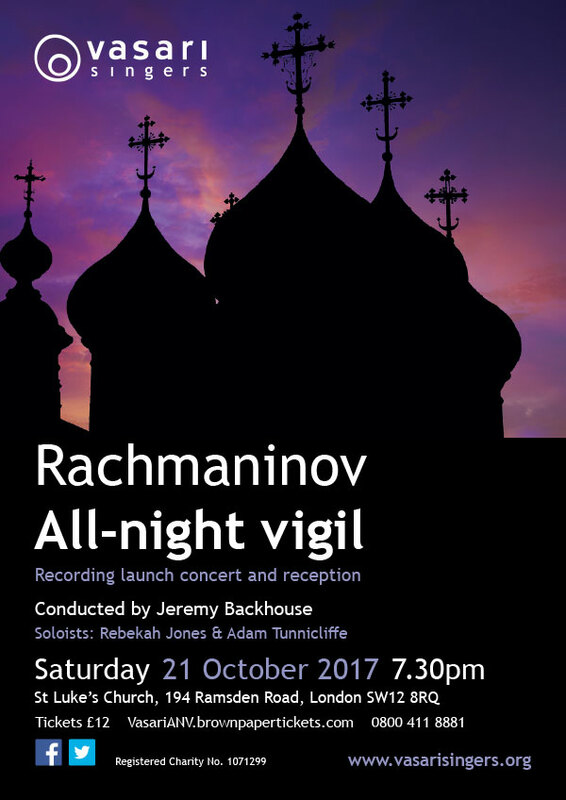 Following our hugely successful Crowdfunder campaign we will be launching our recording of Rachmaninov’s All-Night Vigil Op. 37 (Vespers). The concert performance will last about an hour and will be followed by a party in the atmospheric church of St Luke’s Battersea. We are delighted to be welcoming back soloists Rebekah Jones and Adam Tunnicliffe.